I've always looked younger than my actual age. I'll be 25 this year, so I'm constantly looking for new products to preserve my 17-19 year old face :P I have a grandma that's in her 80's from Dominica, and she hardly has any wrinkles! Water, Bifida Ferment Lysate, Glycerin, Alcohol Denat., Dimethicone, Hydroxyethylpiperazine Ethane Sulfonic Acid, Sodium Hyaluronate, Phenoxyethanol, Adenosine, Peg-20 Methyl Glucose Sesquistearate, Peg-60 Hydrogenated Castor Oil, Salicyloyl Phytosphingosine, Ammonium Polyacryloyldimethyl Taurate, Limonene, Xanthan Gum, Caprylyl Glycol, Disodium Edta, Octyldodecanol, Citric Acid, Citronellol, Fragrance, Sodium Benzoate. Water, Bifida Ferment Lysate, Glycerin, Alcohol Denatured, Dimethicone, Hydroxyethylpiperazine Ethane Sulfonic Acid, PEG-20 Methyl Glucose Sesquistearate, Sodium Hyaluronate (Hyaluronic Acid), Palmitoyl Oligopeptide, Palmitoyl Tetrapeptide 7, Adenosine, Ammonium Polyacrylatedimethyl Taurate, Disodium EDTA, Caprylyl Glycol, Citric Acid, Xanthan Gum, N Hydroxysuccinimide, Chrysin, Octyldodecanol, Sodium Benzoate, Limonene, Fragrance. They both have 18 ingredients that are the same plus, Youth Code is way cheaper. $19.99-$24.99 for 1 oz! 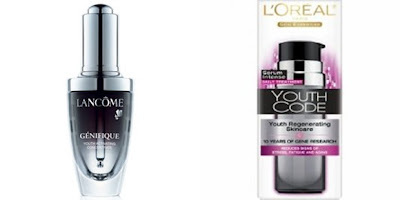 If you're looking for a cheaper alternative to Lancome's Genifique Youth Activating Concentrate, try L'Oreal's Youth Code Serum. You are not even 25? Wow! So young. Enjoy your 20's. Wow. I really need these. 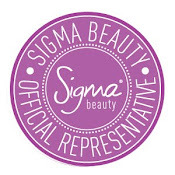 I like L'oreal's price and will look into this product. you're so good to start your anti-age care early!! I should realy start taking care of my skin better too...I'm trying Riceforce atm!